The immediate feature you get in your mind when asked about landscaping is a garden. A garden area covered with different kinds of flowering and non-flowering plants is an attractive feature of the landscape. 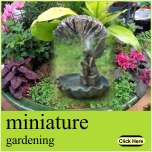 Any garden includes plants that are specific for growth in the respective climatic regions. Similar is the case with desert areas. Desert landscaping can include plants which can withstand the desert environment conditions. Those which are adapted to the sun and desert soil requires less maintenance. They also do not require large amount of water for survival. No expensive fertilizers or topsoil is essential for their effective growth. Cacti, succulents, desert willow and mesquite are some of the examples of desert plants added to landscape areas. Certain desert native plants even attract helpful animals and insects, such as hummingbirds and bees. The desert plants can be grouped together in defined areas of the landscape. They can be planted around the pathways. You can also plant them around places where water from your watering system or natural sources flow and get collected in the yard. The plants can be organized in the areas. You can use bricks or gravel pathways to divide them into sections around the yard. While adding plants to the desert landscape, one should consider the climate as said. It is more particular when it is needed to add plants that need partial or full shade. Mesquite trees can be added to provide shade for plants and flowers. So, make a right choice when planning to improve your desert landscape area.